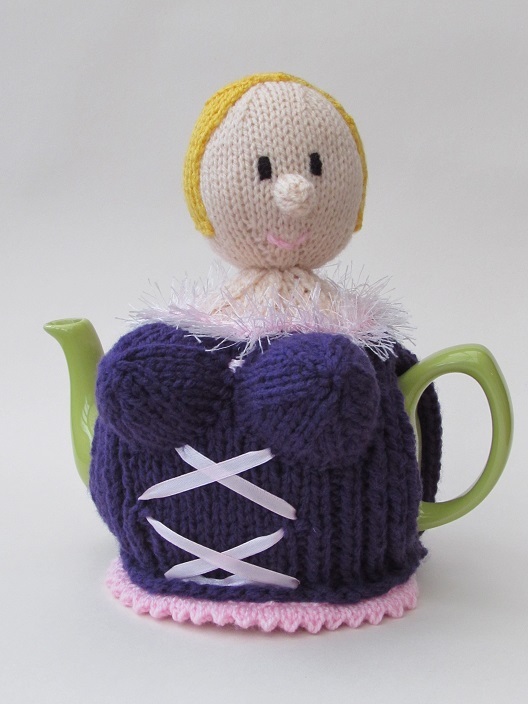 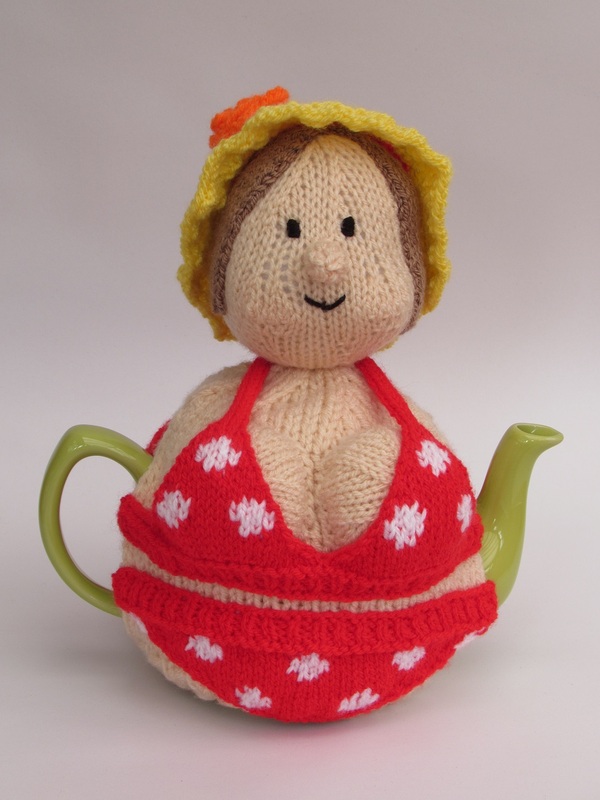 The Girl tea baby tea cosy is handcrafted from double thickness yarn for extra insulation. 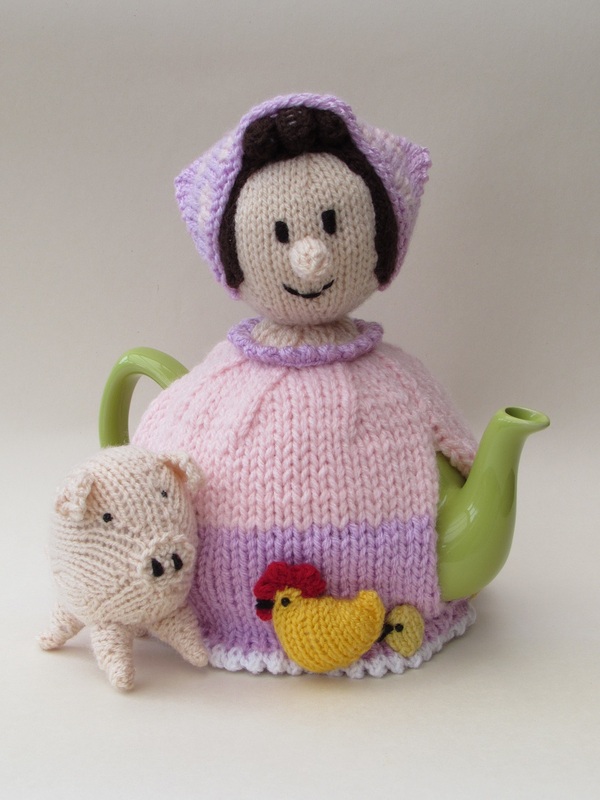 The girl tea baby is made from peach flesh coloured yarn. 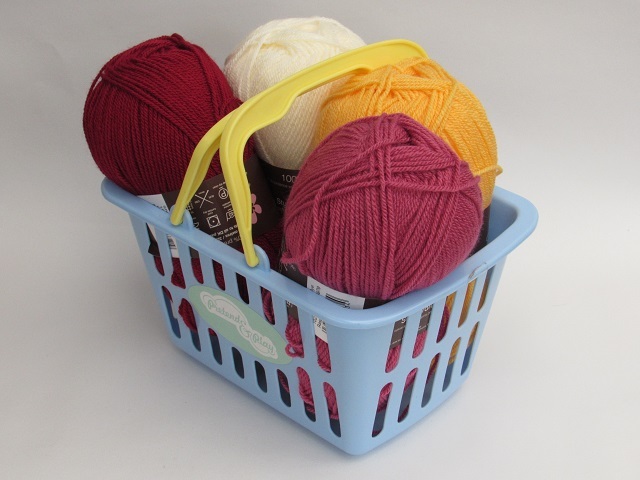 The baby has a white nappy and a yellow nappy pin. 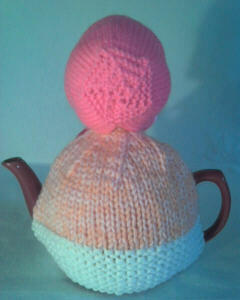 The Girl baby is wearing a pink bonnet with a scalloped edge and broad pink ribbon. 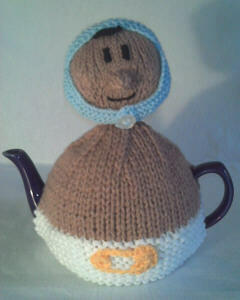 The bonnet is removable to reveal baby's head and a few wisps of yellow hair. 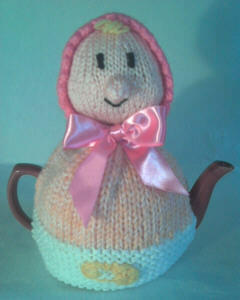 Baby tea cosies have chubby cheeks.